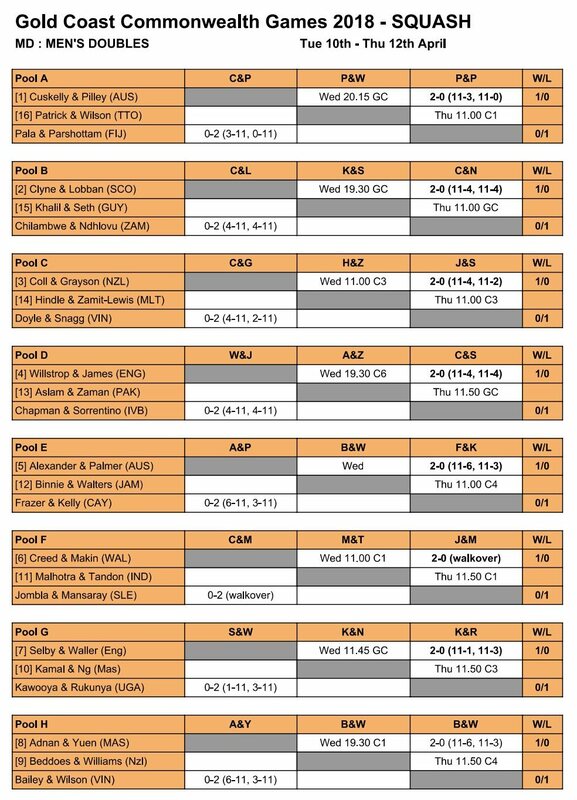 After the conclusion of the Singles, it’s on to the Doubles with the first of three days of Pool matches. 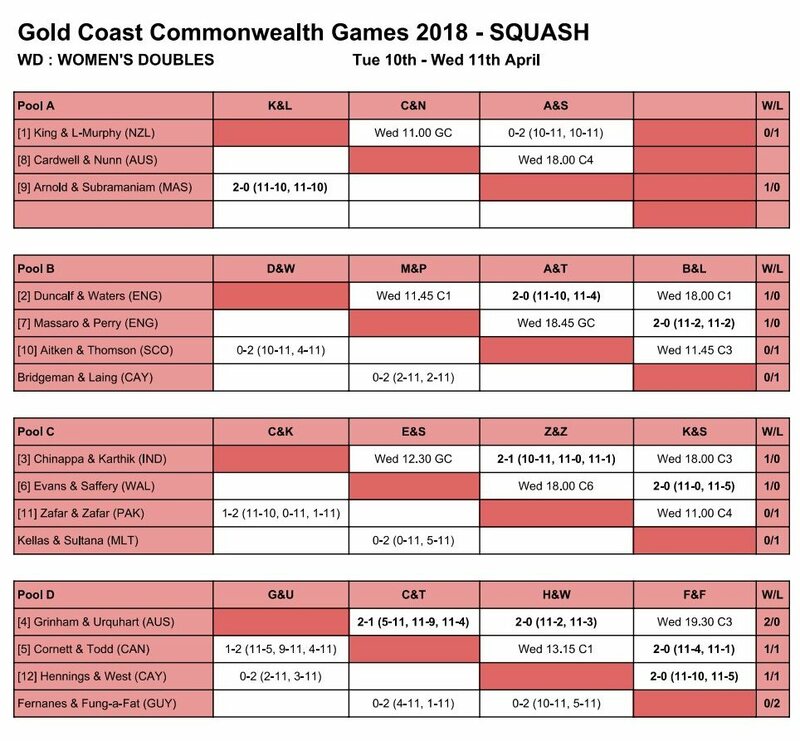 You can keep up with the action on the Draws & Results page, follow progress on the Daily Live Scores, and we’ll have a quick roundups here with a full report at the end of the day. 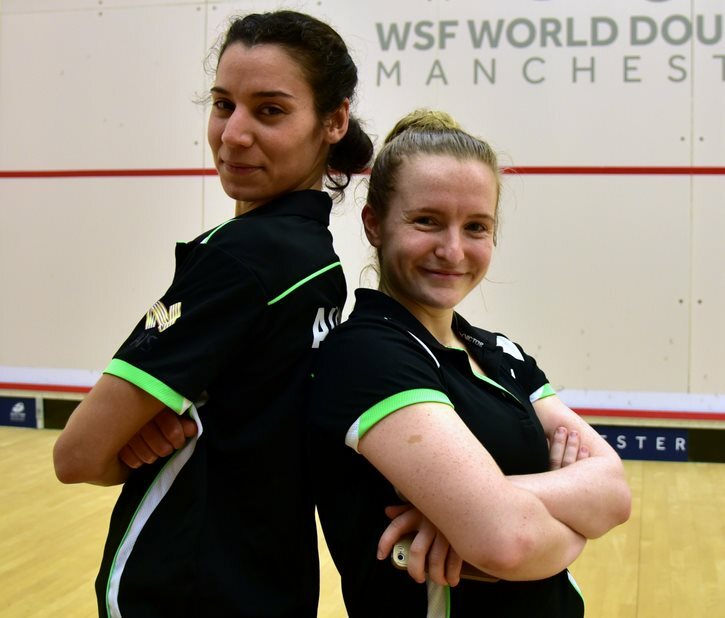 Today’s matches saw play in all three categories – 16 morning, 14 evening matches and one walkover – with the seeded players victorious in all but one case. 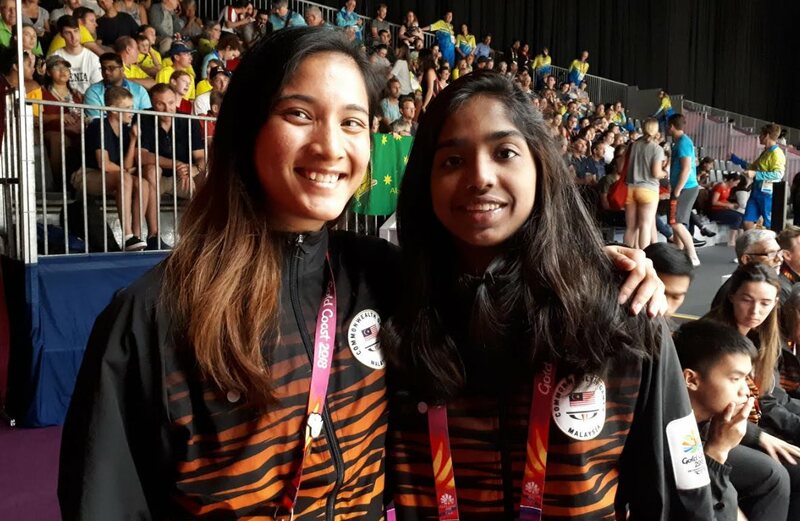 World Champions Joelle King & Amanda Landers-Murphy lost out 11-10, 11-10 to young Malaysian pairing Rachel Arnold and Sivasangari Subramaniam. 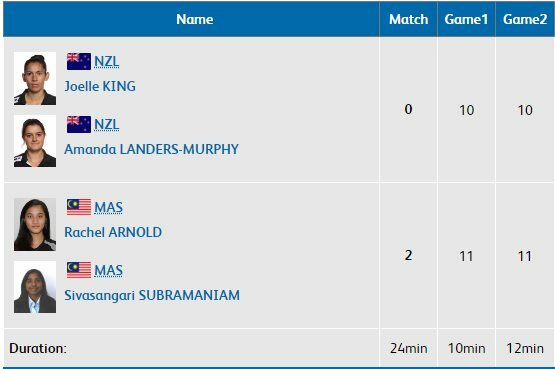 That means that the Kiwis need to beat Aussie rivals Sarah Cardwell & Christine Nunn tomorrow afternoon (on the glass court) to avoid an ignominious early exit. 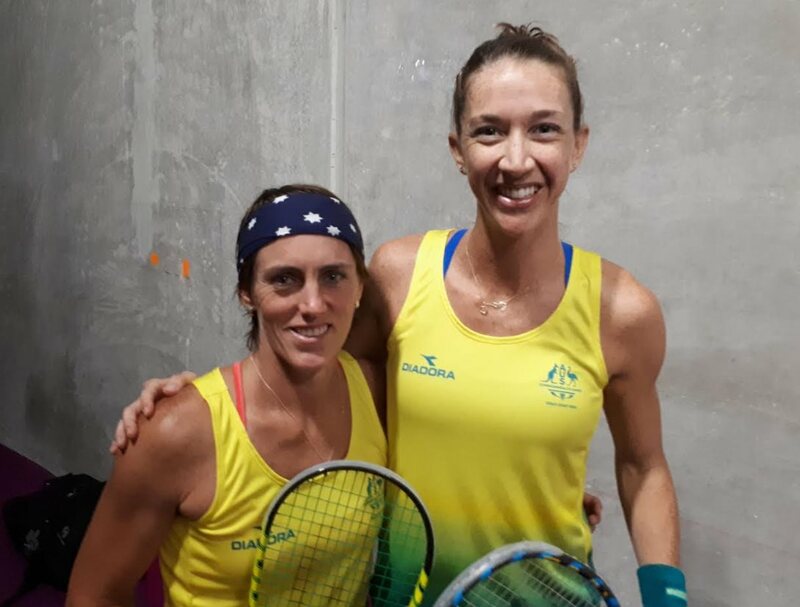 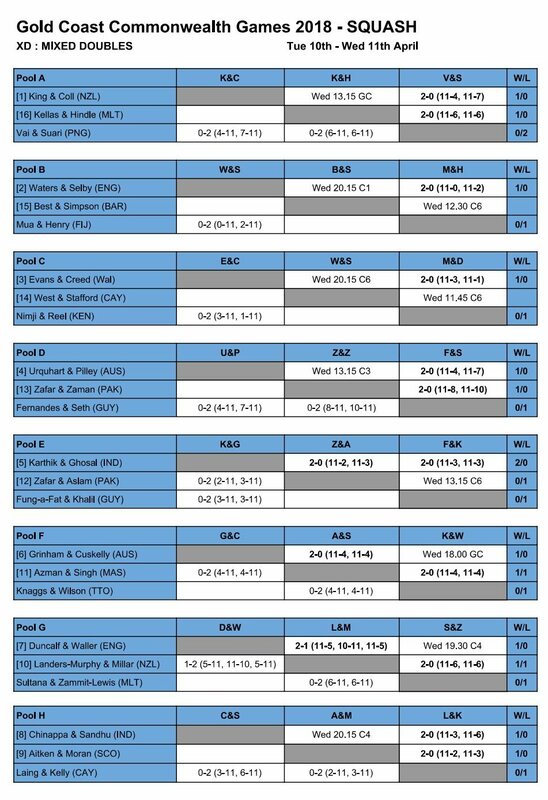 In Pool D Aussies Rachael Grinham & Donna Urquhart wrapped things up with two wins, but Pools B and C aren’t settled yet. 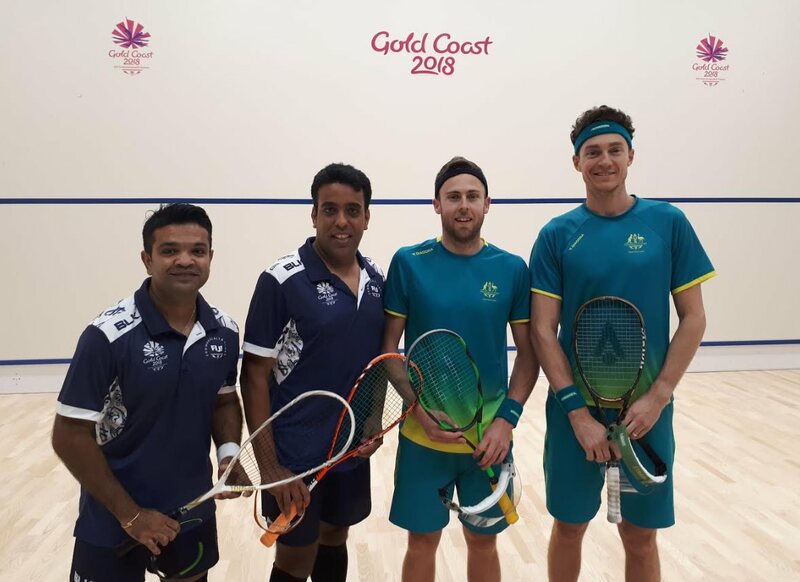 With the eight Men’s seeds all playing the third-ranked pair in their group, it was plain sailing today – tomorrow they face the second ranked pairings, so watch out for some close tussles there.